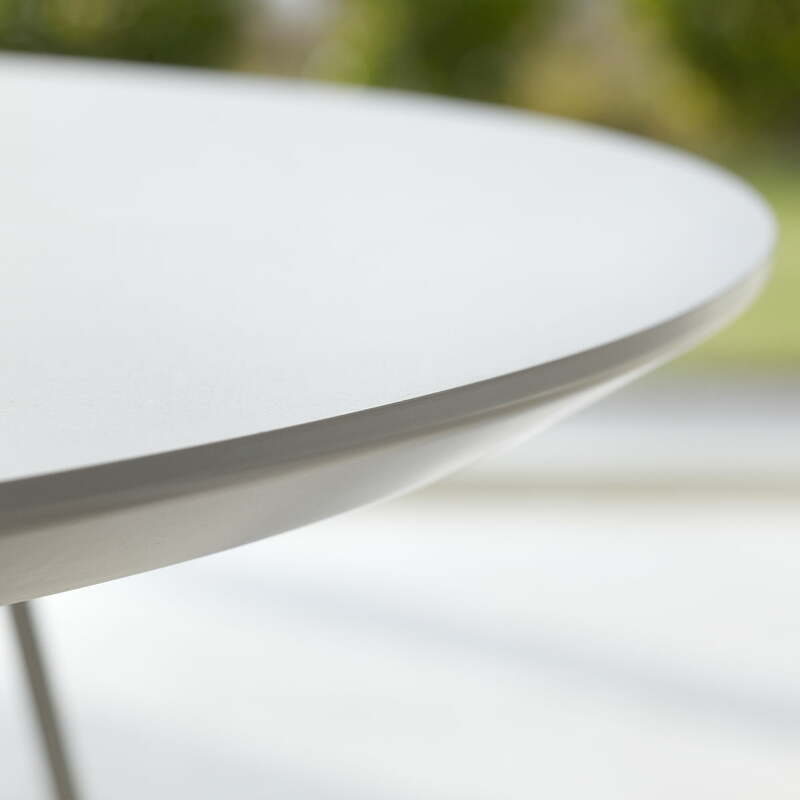 The table top is oval shaped and can be pulled out freely with up to three leaves (not included). This way, the dining table can be extended in 50 cm steps to up to 1.5 meters. 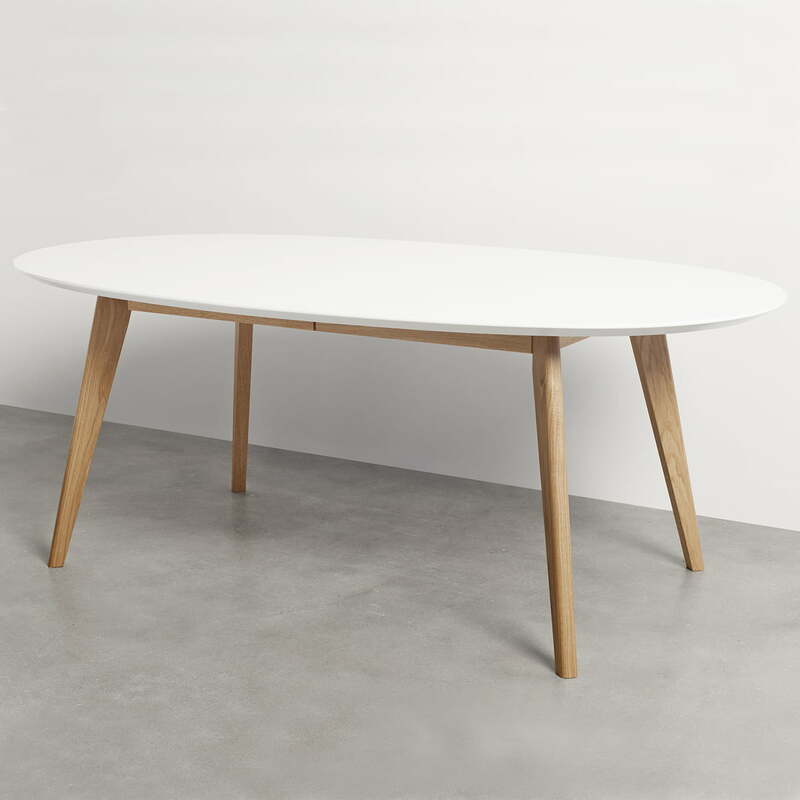 Individual image of the DK10 Dining Table from Andersen Furniture with oak wood. 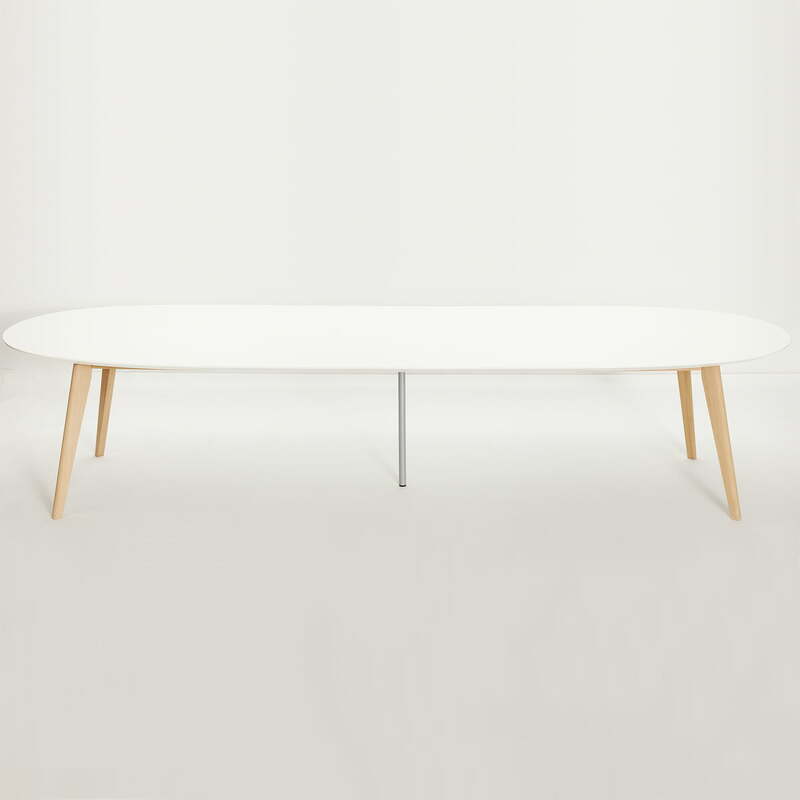 DK10 by Andersen Furniture is a series of tables designed by Ditlev Karsten. 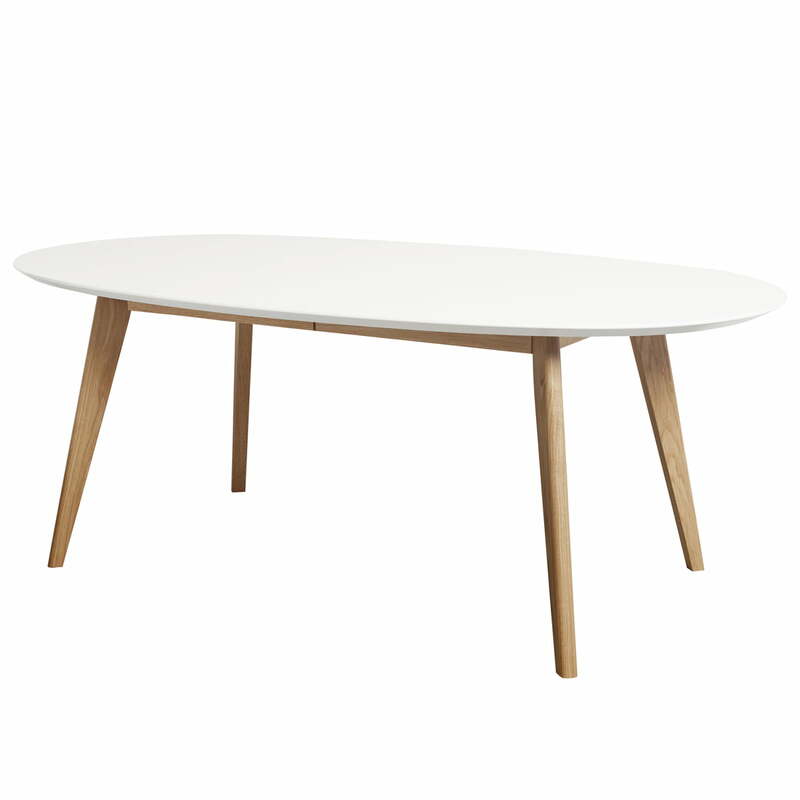 The DK10 is an extendable dining table by Andersen Furniture with white laminate top and oak frame. So, the dining table provides enough space for a larger number of guests. The tops of the DK10 dining table by Andersen Furniture are available with legs made of walnut or oak wood laminate in white, oiled oak and oak soaped.